This Saturday the 28th of May the iPad is officially available for purchase in Australia. 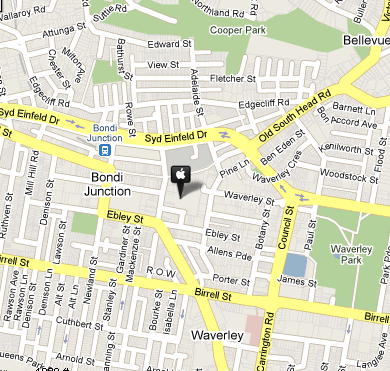 Also a brand Apple store is opening at Bondi Junction from 8am on the 28th. The first 2,500 visitors will get a free Apple T-shirt. No doubt there will be a huge turnout. Placing an Apple Store in Sydney’s Eastern Suburbs – Apple know what they are doing!